What can be more loyal to one another than a loving couple and their loyal companion. 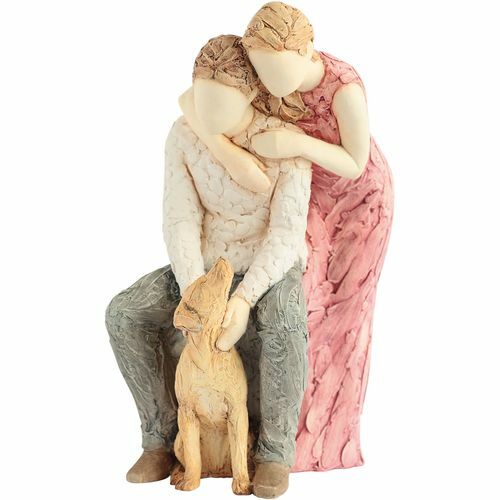 This beautifully sculpted figurine of two people, a man and a woman with their faithful dog. The man is finished in neutral colours while the woman has a lovely pink dress on. The ornament shows the man in a sitting position with his partner standing behind him looking over his shoulder with arms around him, and their dog sitting on the floor between them.